A body found in a Devon seaside town park has been identified by police as a local woman in her thirties. 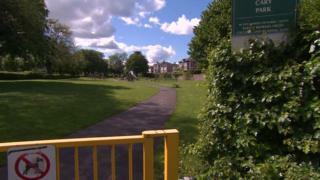 The body of the woman, who has not been named, was found at 03:00 BST in Cary Park, Babbacombe, on Sunday. The death is not being treated as suspicious and the family have been informed, Devon and Cornwall Police said. Police are not seeking anyone else in connection with the incident.